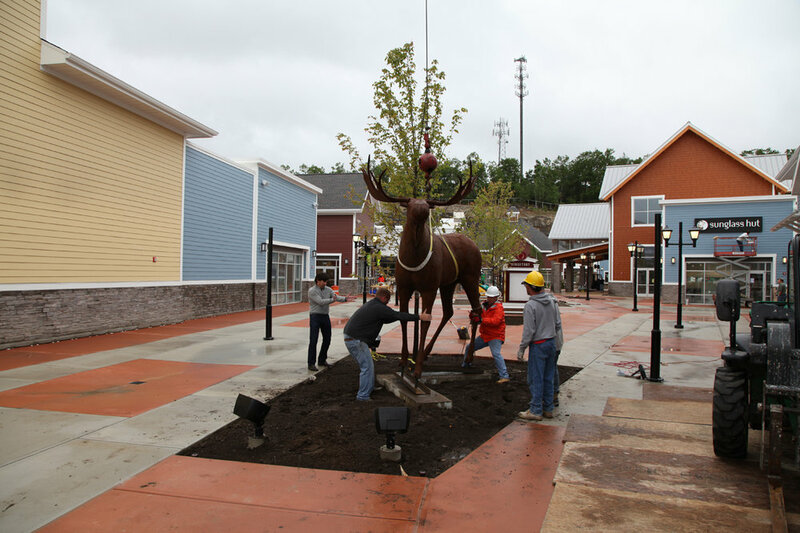 2011 - Life size Moose commissioned in 2010 by Simon Property Group for the new Premium Outlets in Merrimack, New Hampshire. This Moose was modeled after an Alaskan bull moose and stands 12' high at the top of the antlers. He now greets the shoppers as they come and go through the seasons.